Andrew Hodgson, more commonly known as “Reading Steiner” online, is not a professional translator by trade. Rather, translating is his hobby. Years ago, Hodgson taught himself Japanese. “I got into the language because I was an avid reader of manga, and [visual novels], and nobody was translating much, I guess I just noticed there were a bunch of good things on offer for people that understood the language,” he explained to me. The biggest hurdle for him was simply getting motivated enough to sit down and learn it. The team members were Hodgson, translator Blick Winkel, programmer Nagato, editor Qaenyin, and "Project Head"/fan site host Antheon. Hodgson’s role was to translate parts of the game alongside Blick and also check for consistency in terminology. By September of that year, he and the others released their first version of the translation patch for the game. It wasn’t long after that when Hodgson and the other members of the translation team were approached by JAST USA who were interested in using a cleaned up version of the fan translation for its official release of the game in the West. This is not the first time JAST has approached fan translators this way. Both Aselia the Eternal and School Days HQ use improved versions of their fan translations in the official Western release as well. 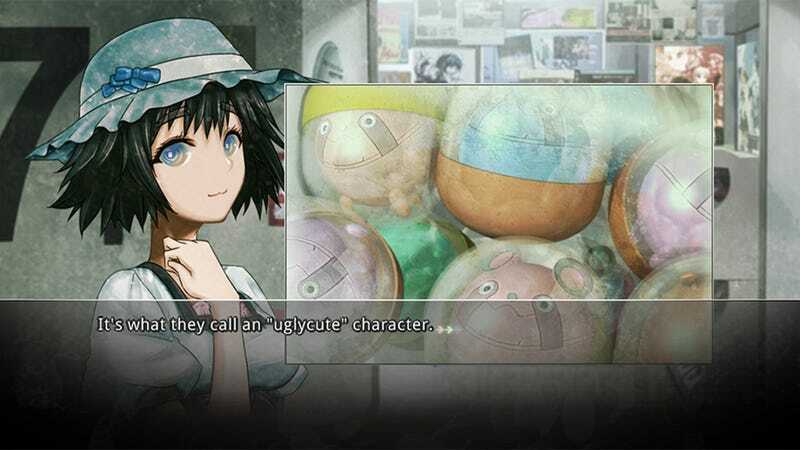 While it took many months to get everything sorted out, Hodgson eventually found himself working on the Steins;Gate translation again, this time for the Western retail version. Working officially gave those working on the project access to the game engine they could only dream of. This allowed them to improve the look of the text, remove the bugs from the fan translation patch, and add new features like lyric cards in the jukebox. If nothing else, it’s pretty cool to see that these days fans are able to put out work of such high quality that companies are willing to hire them to officially complete the projects that they love.